The Monk Makes Relay for the BBC micro:bit is a solid-state relay that allows an output of a BBC micro:bit to turn things on and off. 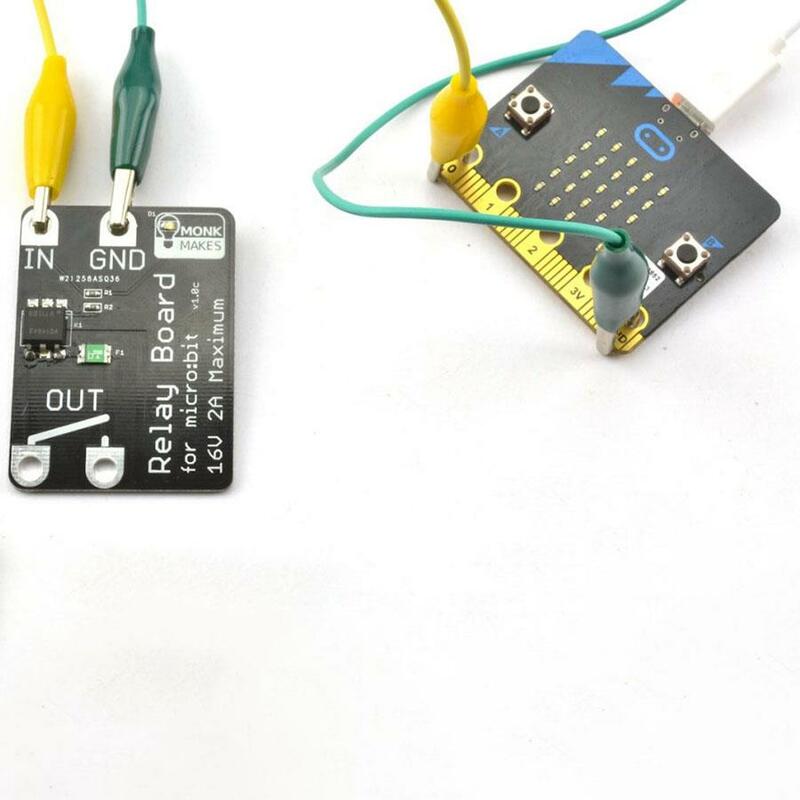 The MonkMakes Relay for the BBC micro:bit is a solid-state (no moving parts) relay that allows an output of a micro:bit to turn things on and off. A micro:bit can turn an LED on and off directly, but anything more powerful requires something like a relay or a transistor. 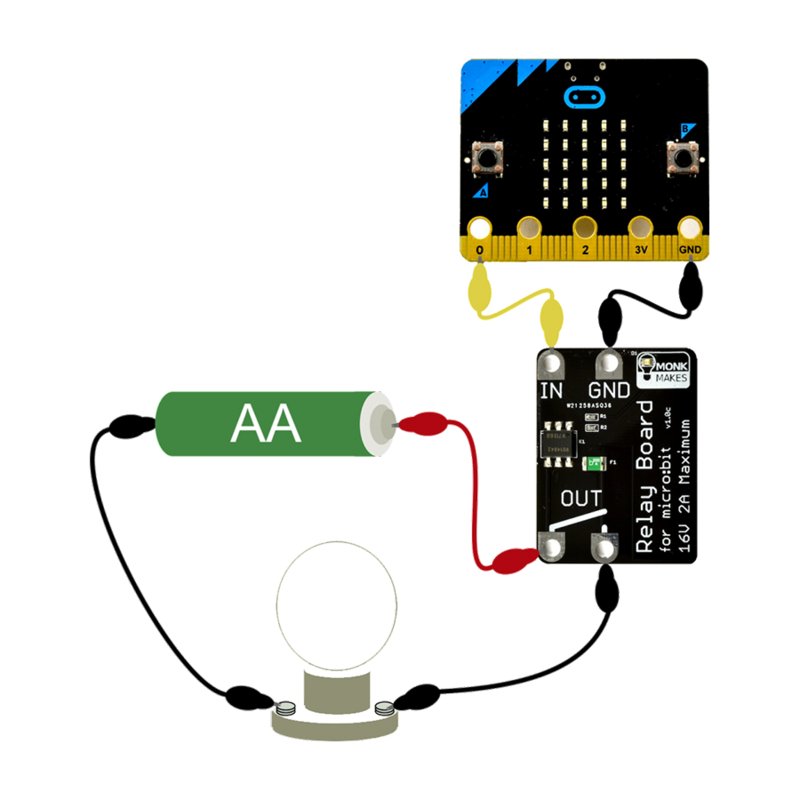 Using a transistor to switch something on and off requires a shared ground connection with the micro:bit and a knowledge of electronics that you or your students may not be ready for. The Monk Makes Relay for the BBC micro:bit is much easier to use, acting like a simple micro:bit controlled switch. Note: The Monk Makes Relay for the BBC micro:bit does NOT include a BBC micro:bit. The BBC micro:bit board will need to be purchased separately.